The patient is placed in the standard lateral decubitus (full flank) position. 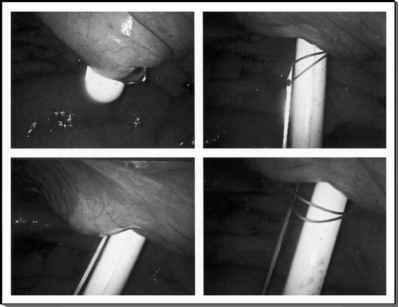 Currently, we do not elevate the kidney bridge on the table, and the table is flexed to the least degree that will allow adequate separation of the costal margin from the iliac crest, the "access corridor" for retroperitoneoscopic surgery (Fig. 1). The surgeon and the assistant stand facing the back of the patient. Prolonged flank position has the potential to result in significant postoperative neuromuscular complications. All extremities must be placed in neutral positions and all pressure points meticulously padded with egg crate foam: head and neck, axilla, hip joint, knee, and ankle. We firmly secure the patient to the table with 3-inch adhesive cloth tape and a safety belt.